The MRC has attracted clinicians and scientists spanning several disciplines of biology and medicine. They work closely with our integrated bioinformatics unit to unlock the powerful potential of the microbiome as a novel target for human health. Prof El-Omar graduated in Medicine from Glasgow University, Scotland, and trained as a gastroenterologist. He worked as a Visiting Scholar and Scientist at Vanderbilt University, Tennessee and National Cancer Institute, Maryland, USA, and was Professor of Gastroenterology at Aberdeen University, Scotland, for 16 years before taking up the Chair of Medicine at St George and Sutherland Clinical School, UNSW, Sydney, Australia. He is the Editor in Chief of the journal, Gut. He is a Fellow of the Royal Society of Edinburgh. Prof El-Omar has 20 years of gut microbiome research as part of his expertise. His other research interests include inflammation-driven gastrointestinal cancer, Helicobacter pylori infection and inflammatory bowel disease. He has a longstanding research interest and productivity in inflammatory bowel disease (IBD), linked with clinical leadership in this sub-specialty. He is frequently called upon to review grants and fellowships in IBD-related fields, nationally and internationally, and to contribute roles related to his expertise at local, national and international conferences. He is a former President of the Gastroenterological Society of Australia (GESA) and was a member of its Council for eight years. Professor Grimm is a leader in IBD research with collaboration in both basic science and clinical arenas. He has supervised PhD students and is actively involved with the UNSW Medical Program. He runs an active IBD clinic that uses biologic therapy and brings valuable insight to the MRC. 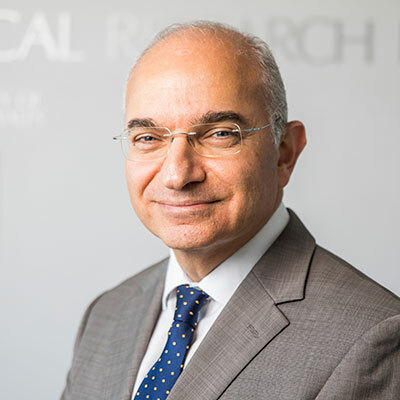 Dr El-Assaad is the Senior Research Associate at the MRC, coordinating all the research activity and strategy within the MRC. She graduated with first class honours in Medical Science and was awarded her PhD from the University of Sydney in 2013 for her research into brain injury in malaria. Her work was the first demonstration that plasma microparticles – previously thought to be inert remnants of cell membrane – are in fact active contributors to the microvascular lesions that cause brain injury in malaria. 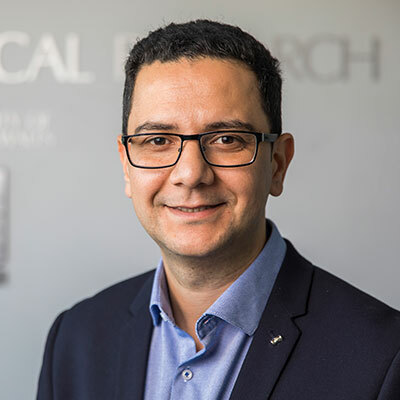 In 2015, Dr El-Assaad was awarded the UNSW Sydney Vice Chancellor’s Postdoctoral Research Fellowship to study host-pathogen interactions in view of identifying drug targets, biomarkers and designing translatable personalised therapy and alternatives to antimicrobials. Her current interests lie in the role of the microbiome in mental health, neuroscience and healthy aging. Prof Hold attained her undergraduate degree in Biochemistry (Toxicology) from Surrey University, United Kingdom, in 1995, followed by PhD at Glasgow University in 1999. She then moved to Aberdeen University, where her research focussed on understanding how microorganisms in the human gastrointestinal tract contribute to disease initiation and progression. She was awarded a Fulbright Scholarship in 2014 and spent a year at Harvard School of Public Health. 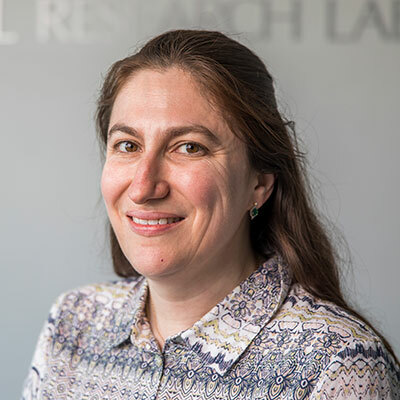 She was attracted to the MRC’s research programme and was appointed as Professor at UNSW in October 2017. Her research interests include understanding the impact of the gut microbiota on the pathogenesis of inflammatory bowel disease and microbial therapeutics. 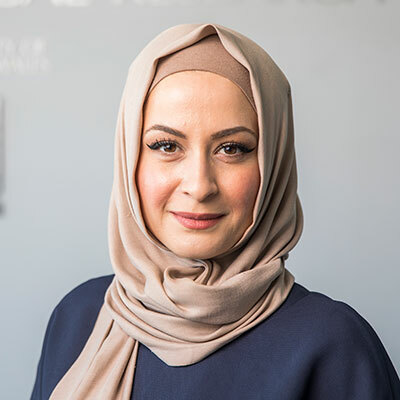 A/Prof Amany Zekry is a Clinical Academic at St George and Sutherland Clinical School, UNSW Sydney. She is a Gastroenterologist and Hepatologist at St George Hospital. She leads a research group investigating the role of the microbiome in the immunopathogenesis of liver disease and liver cancer in obesity. Her research group has published novel data on the role of adipocytokines in mediating liver injury and impairing the immune response. Her current work aims to define the microbiome signature associated with liver cancer in obesity. Professor Lassere is a Rheumatologist who in 2002 co-founded the Australian Rheumatology Association Database (ARAD), an on-going long-term safety national database of patients on biologic treatments for rheumatic conditions. She is chief investigator on a 2017 Australian Arthritis & Autoimmune Biobank Collaborative, which adds a biobank arm to ARAD. She has a unique expertise in Clinimetrics – patient-reported measures, clinical measures, and imaging measures. She has been a member of International Biometric Society, International Society for Bayesian Analysis, International Society for Pharmacoeconomics and Outcomes Research, Health Informatics Society of Australia, American Medical Informatics Society, and Society for Clinical Trials. She brings extensive statistical expertise to the MRC. A/Prof Kohonen-Corish has a 24-year track record of discovery in cancer research, including the genetic basis of colon cancer, translational research in colon and lung tumours and the development of mouse models. She completed her PhD in Human Genetics at John Curtin School of Medical Research in Canberra. She then established a cancer genetics laboratory at the ANU to study the genetic basis of Lynch Syndrome. She was the head of the colon and lung cancer group at Garvan Institute between 2002 – 2018. She has joined the MRC to study the microbiome in colon and lung cancer. Dr Gong is a Postdoctoral Research Fellow at the MRC. 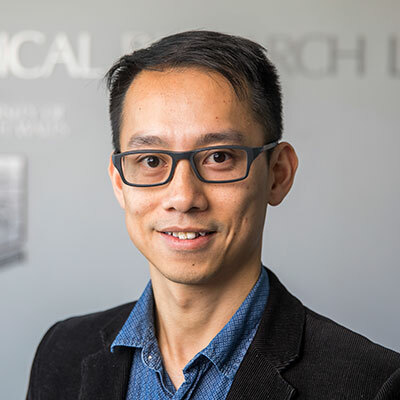 After completing his PhD in Microbiology and Immunology at UNSW, Dr Gong worked as a Research Fellow at Monash University investigating host-pathogen interactions especially autophagic responses against various human pathogenic bacteria. His current research focuses on understanding the role of the microbiome in liver diseases, including hepatitis, obesity-related non-alcoholic fatty liver disease and nonalcoholic steatohepatitis. Dr Yim is a Postdoctoral Research Fellow at the MRC. He completed his PhD in infectious diseases and innate immunity at The University of Hong Kong. He studied the pathogenesis of inflammatory bowel disease, infections and type I diabetes when he worked as a Postdoctoral Research Fellow at the Hudson Institute of Medical Research, Monash University, Australia. In 2013, he was awarded the NHMRC Australia-China Exchange Early Career Fellowship. He acts as a Specialist Advisor for the Therapeutic Goods Administration (TGA) of Australian Government. Dr. Yim’s current research focuses on the investigation of the role of gut microbiota in the development of colorectal cancer. He is interested in understanding the pathogenesis of colorectal cancer and identifying the host or microbial factors leading to this disease. He is also interested in studying the role of gut microbiota in regulating other gastrointestinal diseases. The goal of his research is to translate the research outcomes into therapeutic and preventive strategies to tackle or protect against these diseases. 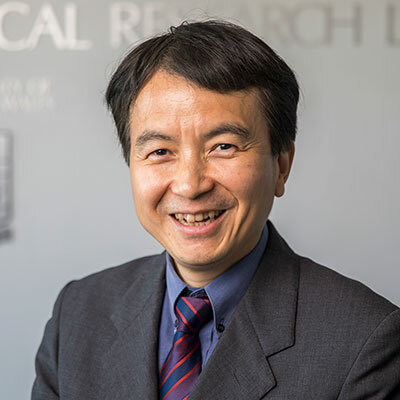 Dr. Xiao-Tao Jiang leads the bioinformatics unit at the MRC. He obtained his PhD in 2017 at the University of Hong Kong by studying the microbiome of activated sludge within a large-scale metagenomics cohort. He developed the antibiotic resistant genes analyzing bioinformatics platform ARGs-OAP1.0/2.0 for multi-metagenomics samples to fight antimicrobial resistance. He has extensive experience in next-generation data analysis, bioinformatics and industrial experience at China’s BGI the world’s largest genome sequencing centre. His current research interest lies in using multi-omic technologies and bioinformatics algorithms to study the role of the microbiome in human disease. Mr Gia is a research assistant at the MRC. A recent graduate from the University of Sydney with a first class honours in Bachelor of Science (Advanced), Andrew has extensive experience in microbiology as well as cell and molecular biology. 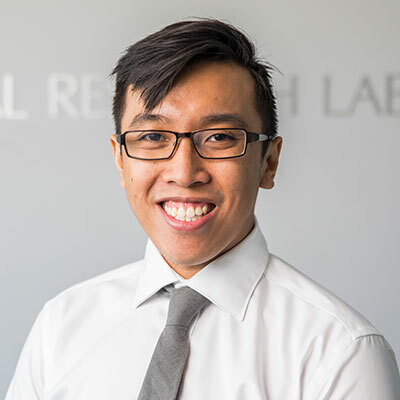 His Honours thesis involved optimising CRISPR/Cas9 system for vaccinia virus genome editing. In addition to assisting the MRC team, he is optimising standardised sample collection and storage protocols to facilitate high quality, reproducible microbiome downstream analysis. He has a keen interest in the role of the microbiome in neuroscience and mental health. He aims to use the microbiome to better understand the onset and progression of Alzheimer’s disease and other neurodegenerative diseases. Dr Susic is a clinical research fellow in the field of obstetrics and a PhD candidate at the MRC. She has undertaken speciality training through the Royal Australian and New Zealand College of Obstetricians and Gynaecologists (RANZCOG). 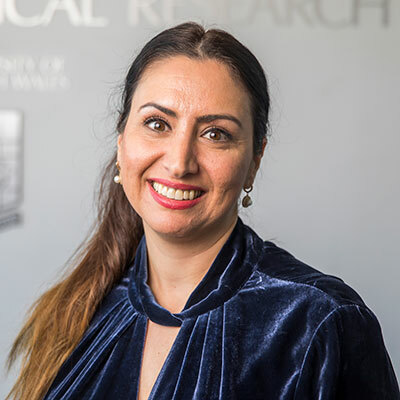 Under the supervision of Dr Amanda Henry and Prof Emad El-Omar, she is working on the Microbiome Understanding in Maternity Study (MUMS) trying to establish if there are causal links or associations between the action and composition of microbiome during pregnancy and adverse pregnancy outcomes. She will study each woman and her baby for a year following birth. 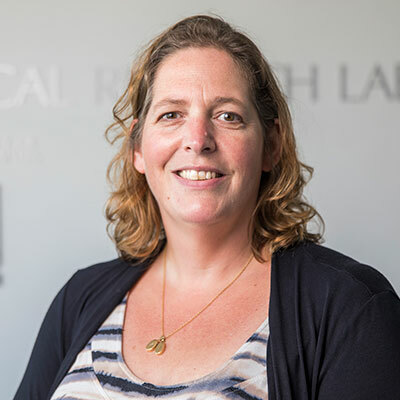 She is an enthusiastic team member and very passionate about the potential impact that this important scientific research will have on the clinical practice of obstetrics. Dr Jason Behary is a Gastroenterologist and Hepatologist who works at St George Hospital in Sydney and a PhD candidate at the MRC. After completing his fellowship at Liverpool Hospital in Sydney, he commenced his research into the role of the intestinal microbiome in gastrointestinal and liver cancer under the supervision of A/Prof Amany Zekry and Prof Emad El-Omar. Jason is also passionate about the education and training of junior doctors. 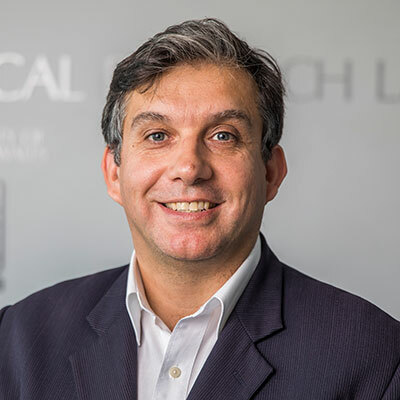 He is a Conjoint Associate Lecturer at the University of New South Wales and the current Network Director of Physician Education and Training, St George and Sutherland Hospital Basic Physician Training Network. Prof Chong is a Professor of Haematology with over 30 years of experience as a medical researcher and an educator. He is known particularly for his research and expertise in the field of thrombosis and hemostasis. 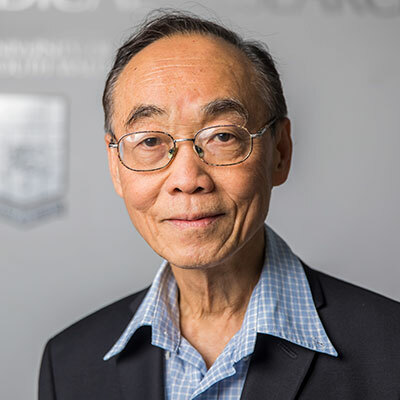 Currently the Director of the Department of Haematology, St George Hospital, Prof Chong is also a Professor of Medicine (conjoint) at the University of New South Wales (UNSW). He served as the Professor of Medicine and Head of Department of Medicine at St George Clinical School at UNSW in Sydney from 2001 to March, 2012. Prof Chong leads an active research team ranging from basic science, translational and clinical studies at the St George Hospital/UNSW. The team’s aims are: (1) to investigate the pathogenesis, to improve the diagnosis and to develop novel treatments of immune thrombocytopenia including heparin-induced thrombocytopenia, (2) to improve prevention and treatment of venous thromboembolism, and (3) to study molecular regulation of platelet production. 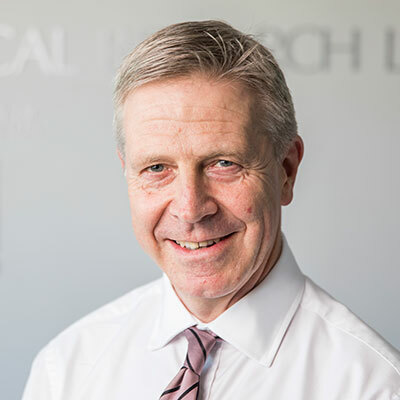 He has served as a member or the chair of several national and international bodies, including Australia and New Zealand Venous Thromboembolism Working Party and New South Wales State Government Clinical Excellence Commission Working Committees on Venous Thrombo-embolism Prevention and on Venous Thromboembolism. Within the MRC Prof Chong is a principal investigator on microbiota dysbiosis in thrombocytopenia and thrombosis. Professor Vollmer-Conna is an internationally recognised leader in multi-disciplinary research examining the sickness response to infection, inflammation and injury, and post-infective syndromes of fatigue and depression. Her research leading to genetic discoveries enabling prediction of the severity of symptoms during acute sickness to diverse infections has become the basis for a diagnostic patent. Dr Vollmer-Conna’s recent work has provided novel insights in the role of vagus nerve activity in sleep and the response to stressors, including immunological challenges. 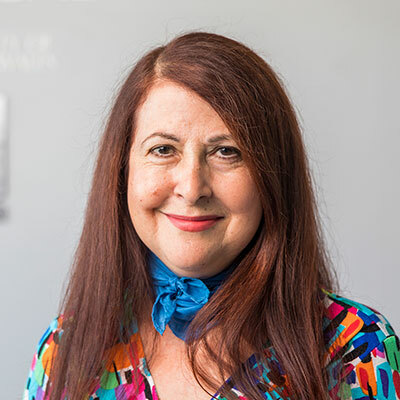 Prof Vollmer-Conna is frequently invited to present her work at specialist meetings and conferences in Germany, the US, and most recently the UK. 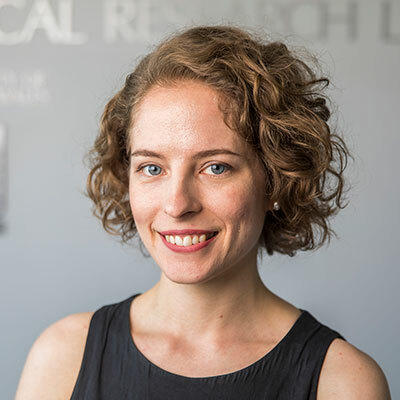 She is a Research Fellow at the Black Dog Institute, and maintains a longstanding research affiliation with Prof Lloyd, the Head of the Viral Immunology Systems Program at the Kirby Institute. Together, they lead the Dubbo/Sydney Infection Outcome Studies; a large, collaborative research program of prospective viral cohorts to study pathophysiological mechanisms of post-infective neuropsychiatric syndromes. Within the MRC Prof Vollmer-Conna is a principal investigator on the inflammatory bowel disease projects and advisor on the mental health research theme. Dr Henry is Senior Lecturer in Obstetrics and Gynaecology, and an Obstetrician at St George Public Hospital and the Royal Hospital for Women, Sydney and NHMRC Early Career Fellow, who combines research, teaching and clinical responsibilities. She is an active researcher and research supervisor in the areas of high-risk pregnancy, obstetric ultrasound, and clinical trials, teaches pregnancy care to both undergraduate and postgraduate students, and works as a high-risk Obstetrician at St George Hospital where she has also established a multidisciplinary Fetal Medicine service. Prior to commencing her academic career at UNSW in 2011, Dr Henry completed her specialist training in Obstetrics and Gynaecology at teaching hospitals both within Australia and overseas, focussing on high-risk pregnancy care. 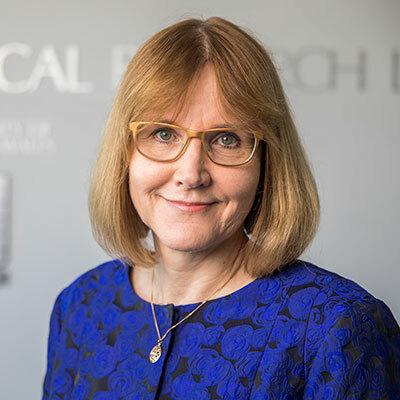 Within the MRC, Dr Henry is a principal investigator on the studies looking into the role of the gut and urogenital microbiome in pregnancy and pregnancy-related complications. Dr Giannakopoulos is a Senior Lecturer in Clinical Medicine at the St George and Sutherland Clinical School, UNSW Sydney, Co-Director of the St George Hospital Immunology Research Laboratory (with Professor Steven Krilis) and is a Clinical Rheumatologist practising at the St George Public Hospital. He has a strong interest in the Antiphospholipid Syndrome (APS), specifically in understanding the biology of the main autoantigen β2GPI, and the mechanisms by which antiphospholipid antibodies predispose to thrombosis and foetal loss. Within the MRC, Dr Giannakopoulos is a principal investigator on the role of the microbiome in systemic lupus erythematosus (SLE) and antiphospholipid syndrome. Dr Wu is a gastroenterologist at St George Hospital. He completed his specialist training in adult gastroenterology in 2014. 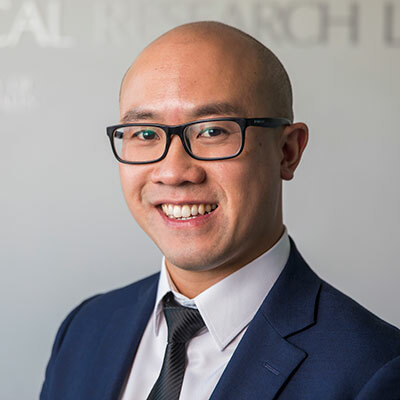 He is currently in the final year of his PhD candidature, supported in part by a St George and Sutherland Medical Research Foundation Scholarship studying the clinical utility of pharyngeal and oesophageal compliance measurement in the management of dysphagia disorders. Within the MRC Dr Wu is the principal investigator on the role of the oral microbiome in chemo-radio therapy for head and neck cancer.